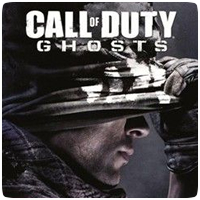 The Call of Duty: Ghosts multiplayer component was revealed yesterday at a hour-long event, presented by Xbox. The game will be releasing in November on both current and next-gen platforms, including the PS3 and PS4. In addition to the multiplayer mode, two Collector’s Edition were also unveiled. The game will be released in two different Collector’s Editions, in addition to the stand-alone game. Details of what each of the Collector’s Editions include are detailed below, and you can also find a trailer too.